Private VLAN concepts are quite simple, but Cisco’s implementation and configuration is a bit confusing – with all the “mappings” and “associations”. Here comes a short overview of how private VLANs work. To begin with, let’s look at the concept of VLAN as a broadcast domain. What Private VLANs (PVANs) do, is split the domain into multiple isolated broadcast subdomains. It’s a simple nesting principle – VLANs inside a VLAN. As we know, Ethernet VLANs are not allowed to communicate directly, they need L3 device to forward packets between broadcast domains. The same concept applies to PVLANS – since the subdomains are isolated at level 2, they need to communicate using an upper level (L3 and packet forwarding) entity – such as router. However, there is difference here. Regular VLANs usually correspond to a single IP subnet. When we split VLAN using PVLANs, hosts in different PVLANs still belong to the same IP subnet, but they need to use router (another L3 device) to talk to each other (for example, by means of local Proxy ARP). In turn, router may either permit or forbid communications between sub-VLANs using access-lists. The Nexus brings Cisco into not just a new territory for its business, but a new product category: a unified switch that spans storage and computing in data centers and has security built in. Given the stakes, superlatives are natural. – A single Nexus chassis will be able to handle more than 15Tbps of traffic ripping through a data center, up from just 2Tbps for a current Catalyst 6500 switch. – At that rate, the switch could run 5 million concurrent transcontinental conferencing sessions using Cisco’s TelePresence Collaboration system. It could also copy the entire searchable Internet in 7.5 minutes. – One interface module for the Nexus 7000 chassis will come with 32 10Gbps ports, and the platform is designed to support future interfaces including 100Gbps. – The company spent about $250 million on research and development for the new platform, and at its peak, the Nexus R&D team numbered more than 500 engineers, according to Tom Edsall, senior vice president and chief technology officer of Cisco’s Data Center Business Unit. 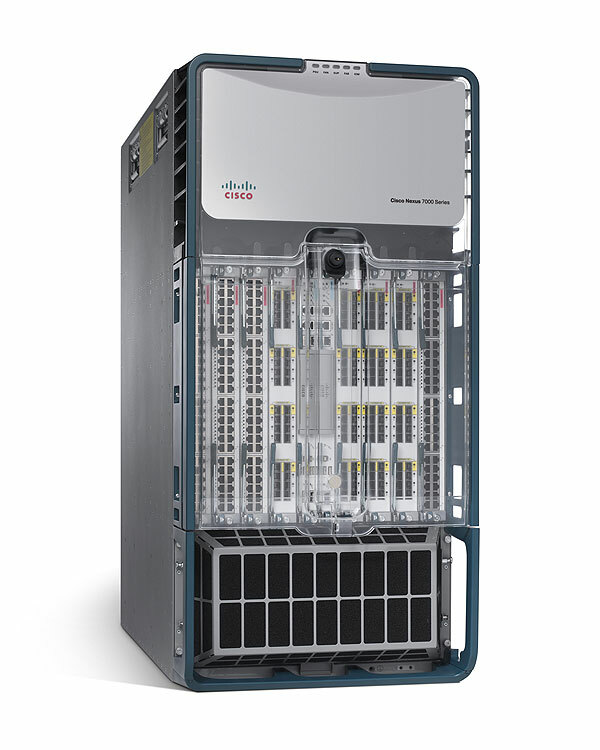 As with the Catalyst 6000 Series and the CRS-1, Cisco developed the Nexus with an eye to long-term needs. Where the CRS marked the debut of IOS XR, the first modular version of IOS, the Nexus will have Cisco’s first OS that can be fully virtualized, called NX-OS. The Nexus will also break new ground with its lossless switching fabric, a departure from traditional Ethernet — though backward compatible with it, Cisco said. I’m still having ups and downs with my studies. I am at the point where I am able to recognize what technology solves each core task, but I’m still missing bits of configuration and making dumb mistakes. I am also still pretty weak in BGP. My time is horrible as well. Some of that is due to me typing notes as I lab as well as searching for everything in the DOC. Next Wednesday will be my first simulated lab (I’m doing Volume II lab 1). This will give me a better idea of how slow I really am. I don’t know if it’s the weather (it’s been under zero here for over a week – that translates to “insanely cold” in Celsius), but I’ve been a little disappointed with my progress lately. I’m probably going take a week off pretty soon. By “a week off”, I mean that I will not be labbing but I will still be reading and watching some IEATC videos. Do Volume II lab 6. Do Volume III lab 4. Do 4 random labs from each of Volume I OSPF, EIGRP, RIP (12 total). I finished Volume III lab 4 and I did my 12 random labs. I only finished the first three sections (through IGP) redistribution of Volume II lab 6. Goals for this week: Finish Volume II lab 6. Redo Volume III lab 1. Do the Volume I BGP labs. I really want to take my lab in early June because I really don’t want to keep up this study pace into the summer. I live in Minnesota and the summer months (especially the early summer) are pretty sacred. That said, I don’t think that I’ll be ready by 11 February and I’m not waiting until September, so my only two options are the March or June dates. If my employer foots the bill I will probably push my lab back a couple of weeks and go in June. If I have to pay (and I decide that it’s worth the expense), then I’ll probably go in March. Welcome to CCIEblog.com, your free CCIE home page, portal and blogging community. I’m currently studying for the CCIE written which I’m scheduled to take on jan 23. in Barcelona, Spain during my trip to the Cisco Networkers Europe convention. If I manage to pass my written test I will use this blog to report my progress towards the CCIE lab exam and also use this blog to practise my written English. So feel free to comment on my writing. Here’s hoping that CCIE on Ice passed the written exam and will be posting about chasing the CCIE. Catch up on today’s CCIE news and read the latest posts on CCIE blogs on your own custom CCIE home page, at http://start.ccieblog.com/. I you go to start.ccieblog.com, you’ll see a NetVibes page with a number of CCIE blogs (including yours truly) already loaded. You can customize the page and add/remove RSS feeds as well as widgets. Some of you are probably thinking, “Someone is running WordPress and Netvibes on a server. Big deal.” I think that this is actually a pretty cool site because it will give those looking for CCIE blogs a very good nice place to start. When I started my studies, I was surprised at the lack of CCIE blogs I was able to find. Over the months, I have found quite a few blogs, but I would have loved to have had a resource like this when I was first starting. IF the blog hosting portion of ccieblog takes off, this site will be a very nice community resource for those seeking CCIE blogs. Speaking of CCIE blogs, I have a fresh batch cooked up which I will be posting in the next few days. In addition to IPexpert’s Online Certification Talk forum (www.CertificationTalk.com) and Online Study List (email list-serv) (www.OnlineStudyList.com), we are please to announce 3 additional CCIE-focused communities that will begin to take form over the next few months. CCIE Blog – (www.CCIEBlog.com) This community will be dedicated to IPexpert instructors, management staff and various (selected) students progressing their way through the CCIE certification. Pop in and read about their daily experiences! CCIE Radio – (www.CCIERadio.com) This site is a site dedicated to CCIE-focused PODCasts as well as streaming technical radio. More details and schedules will be available shortly! Everything IE – (www.EverythingIE.com) If you have a question about the CCIE that you just can’t get answered (not violating the NDA of course) – this is the site for you. If you’d like to know what hotel to stay at when you’re taking the lab in Belgium, what to read, recommended links, etc – this is the “CCIE-Focused FAQ” you’ve always wanted! If you have any questions or comments relating to these communities, or would like to get involved in the development and creation of these communities, please contact the President of IPexpert – Wayne Lawson at wayne@ipexpert.com. Juniper offered a fast track certification program with free training and vouchers, but it was set to end at the end of 2007. I was interested in it, but I could not commit any time due to my CCIE studies. It looks like they are extending this program until (at least) the end of 2008. After I complete my CCIE, I might look into getting some basic Juniper certification and this program looks like a good way to accomplish that. Because of its enormous popularity, the Juniper Networks Certification Fast Track Program is being extended through 2008! We are very excited about the number of participants in the program, and we look forward to working with more networking professionals in 2008. There are some important changes to the program that we highlight below. The existing Enterprise Routing courseware will remain available on the Fast Track Web Portal, and participants will continue to have the opportunity to earn Enterprise Routing associate-level (JNCIA-ER) and specialist-level (JNCIS-ER) certification vouchers. Beginning February 8, participants will realize a 50% savings when redeeming JNCIA-ER and JNCIS-ER vouchers at any Prometric Testing Center, as opposed to being able to take the exams at no charge in 2007. This change in cost still provides an exceptional opportunity for participants because the courseware, valued at several thousand dollars, still remains at no charge for the participants, and on average, a participant will incur a cost of only $60 per exam. The program name has changed from the JUNOS Enterprise Routing Certification Fast Track Program to the Juniper Networks Certification Fast Track Program because coming soon we are adding two additional certification offerings to the program in 2008. Stay tuned for future announcements. Starting in 2008, networking professionals no longer need to be Cisco certified to participate in the Juniper Networks Certification Fast Track Program. This change allows all experienced networking professional to participate in the program. Throughout 2008, Juniper Networks will continue to fast track even more networking professionals in the shortest amount of time-at a substantial savings! The ability to track the progress of participants’ preassessment exams! In the 12 day bootcamp, they recommended lab 1,7,8,9,10 & 11 from the version 4, volume 2 workbook. I would do them sequentially, i.e. 1,7,8,9,10,11, then back to 1,7,8,9,10,11. This way you’re not just memorizing the information, but retaining it instead. I think that people are reading this as if I’m saying this is the only preparation needed. What I’m saying is that after you have a solid understanding of the blueprint topics and are ready to move onto the full scale labs that doing 30 full scale labs by repeating the same 6 labs 5 times each is better for some people than doing 30 totally different full scale labs. I did mess up a little bit. I configured “neighbor 150.1.5.5 ebgp-multihop” on r4. It turns out that I don’t need this command because r6 is bridging, not routing. * 205.90.31.0 192.10.1.254 0 100 0 (7000) 254 ? * 220.20.3.0 192.10.1.254 0 100 0 (7000) 254 ? * 222.22.2.0 192.10.1.254 0 100 0 (7000) 254 ? *> 205.90.31.0 152.1.37.7 0 100 0 (7000) 254 ? *> 220.20.3.0 152.1.37.7 0 100 0 (7000) 254 ? *> 222.22.2.0 152.1.37.7 0 100 0 (7000) 254 ? I had the right idea for this task, but I boned it up. IE used an aggregate-address on sw1 to ensure reachability to all networks advertised by the backbone routers. They have a short writeup to explain their method. I REALLY need to study BGP some more.